“I see this all too often in organizations. One manifestation is very large organizations, where a Project Manager from the PMO (project management office) AND a IT PM (AKA business analyst or delivery manager) get assigned to a project. In this scenario, both resources are expected to coordinate meetings, document decisions and communicate to stakeholders. The real distinction comes in their focus. The project manager tends to focus on following best practices and making sure every box is checked. Often, they are super cautious and tend to be more worried about creating the timelines, rather than the fluidity of project delivery. The delivery manager is primarily responsible for moving the project forward – removing obstacles, managing work assignments and facilitating ownership, driving towards a finish line. By not looking towards the endpoint, you sometimes end up in situations where there are incomplete lists of activities identified for project completion, incorrect timelines or lack of ownership and accountability”. – Dagny Evans for Dagny.com, excerpted, click here to read the entire article. Well said! 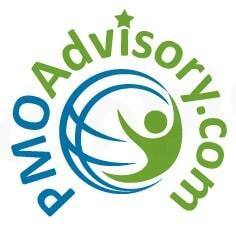 PMO Advisory LLC, a leader in the fields of project, program and portfolio management, is launching a new comprehensive curriculum in Project Management Office (PMO) in the Fall of 2016. The first of the courses entitled “Successful Project Management Office” is designed for PMO professionals and project practitioners and is scheduled to be held on October 31st to November 4th, 2016 in New York City, Click here for details! All participants will earn 1 PDU and receive special discounts for our upcoming classes.